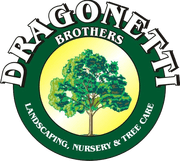 For high-quality hardscape service in Brooklyn, Dragonetti Brothers Landscaping is the company you can count on. For over 40 years, homes and businesses have relied on us for hardscape service in NYC, including Brooklyn, Manhattan and beyond. A great landscape is the perfect melding of beautiful softscape features like lush grass and flourishing plants, and dramatic, aesthetically pleasing hardscape features like walkways and patios. Fortunately, we at Dragonetti Brothers specialize in both — and can create a luxurious and functional hardscape you’re sure to love. We can install the proper drainage and irrigation to protect your flora, construct beautiful decks and patios and create the perfect framing for your outdoor garden. Our expert designer will go over every step of the plan with you before putting the plan in the hands of our highly skilled landscaping and maintenance crews. Before you know it, your dream hardscape in Brooklyn will be laid out before you. Why Choose Dragonetti Brothers Hardscaping? You’ll love Dragonetti Brothers for hardscape service in Brooklyn because of the great care we put into each job. We treat each hardscaping project like it’s our own property, using high-quality materials and professional landscaping crews with years of experience and tremendous talent. Quality craftsmanship and durable performance are our watchwords. We always put the needs and satisfaction of the customer first and we will work quickly, efficiently and, just as importantly, neatly during the installation. Our work is fully protected by warranty and we won’t consider the job done until we know you are satisfied. Once we are done, we thoroughly clean and detail the area so that the only sign we have been there will be your beautiful new hardscape. Our dedication and focus on creating quality, beautiful landscapes is why we have had hundreds of satisfied customers over decades of performing hardscaping and other landscaping services in NYC. If there’s a hardscaping service you need that you don’t see listed, please call us and ask about it. We’re sure we can accommodate you! If you’re ready for the hardscape at your Brooklyn property that you’ve always dreamed about, get in touch with Dragonetti Brothers. We are fast, affordable and fully licensed and insured. We are a family-owned business made up of hard-working, professional landscaping experts who have been serving the Brooklyn and greater New York City communities for over 40 years. No job is too big or too small and we’re ready to work with you right now. To get started, just contact us online for a free quote. Or, for more information on our hardscaping and other landscaping services in Brooklyn, give us a call at 718-451-1300 today.